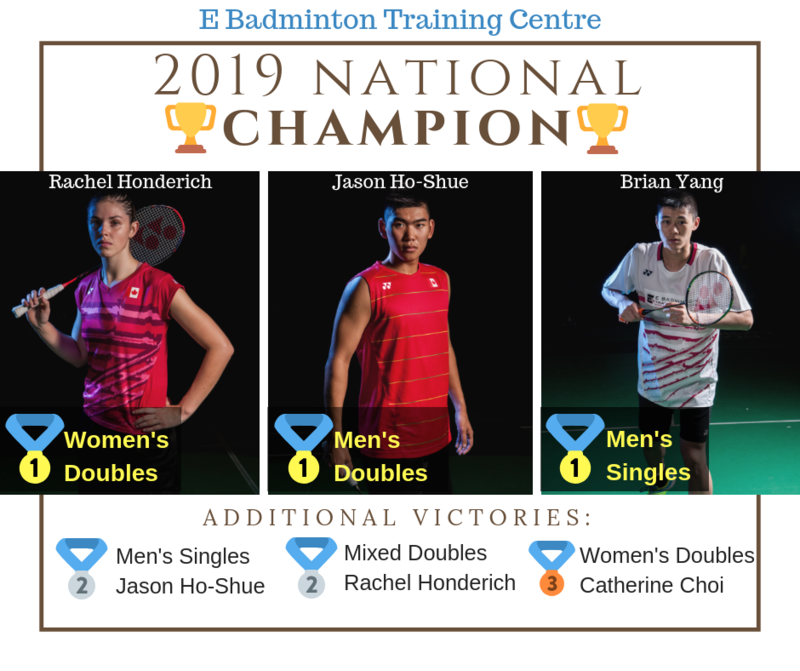 朗Congratulations to the E Badminton athletes who competed and emerged victorious in the 2019 Yonex Canadian University Nationals Championships last weekend. EBC Athletes: Giselle Chan, Katie Ho-Shue, Jon Lai. Congratulations to E athletes’ outstanding performance at Canadian Junior International 2019. We won 4 out of the 5 titles ! Special shout out to Brian for adding another Triple Crown to his numerous Triple Crown title accolade ➕ standing on podium for 4️⃣ consecutive weekends❗️ What a record! 朗Congratulations to the 5 E Badminton Athletes who have been selected to represent Canada at the Pan American Individual Championships this year!! !The Pan American Championships is the most prestigiousbadminton tournament in North America; E Badminton has won several Golds year-over-year in the tournament. Last weekend, EBC junior athletes competed in the Yonex Ontario Junior Elite Nationals tournament. The tournament is one of the most competitive 朗junior tournaments in the country, and our athletes did a fantastic job stepping-up to the challenge. Several medals were earned. This weekend, EBC athletes competed in the Port Hope Provincial B tournament. EBC competitors improved significantly as compared to the previous season. Many EBC athletes earned titles for the first time in the event this year朗. Congratulations to Team Canada for their GOLD victory in the 2019 Pan Am Mixed Team Championships this Sunday!!! Team Canada progressed through the entire tournament without dropping a single match to any team! On February 17, Canada defeated USA 3-0, earning Gold . 朗Great job to EBC athletes Brian Yang, Catherine Choi, and Jason Ho-Shue for their part in this victory. This weekend, EBC athletes travelled to British Columbia to compete in the BC Junior Elite Nationals tournament. Our athletes excelled, and brought home several titles朗! Special congratulations to EBC's Brian Yang for earning a TRIPLE CROWN in the U19 category! Last weekend, E Badminton athletes competed in the 2019 Yonex Quebec Junior Elite in Montreal菉‍♂️!!! Our athletes played brilliantly, earning an extraordinary amount of recognition. The day was filled with excitement and the tournament was attended by many EBC athletes, coaches, and parents!